RVX decided to move the majority of its servers and 500TB of data storage to Verne Global’s data center, but retain a presence at its existing office in Reykjavik harbour, connected through a 10GB link. This would enable the company to manage its day-to-day creative work on-site, while relocating its bulky and energy-intensive data storage and processing hardware to Verne Global. The solution also enabled RVX to take advantage of Verne Global’s unique, multi-tiered, hybrid data center offering. 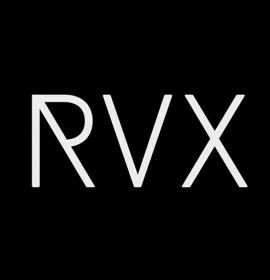 Having this flexibility meant RVX could balance its compute between maximum and lower resiliency data halls as project work and deadlines required. RVX substantially reduced its Total Cost of Ownership (TCO) for data storage and computing infrastructure while meeting studio data security requirements. The studio was also able to demonstrate their green credentials to its clients with a low-carbon data center footprint, and the co-location freed up its staff to focus on what they excelled at: producing ground-breaking VFX. RVX believes the move underpinned the acclaimed and ground-breaking effects it went on to create as lead VFX production house on the 2015 movie Everest. Finally, RVX was able to demonstrate its green credentials to its clients, who are under increasing price, regulatory and reputational pressure to reduce their greenhouse gas emissions, both directly and through their supply chain. VFX production is an enormously energy-intensive process – but because Verne Global benefits from the only 100% renewable electricity grid in the world, RVX can point to a low-carbon footprint for this critical aspect of its business. RVX is a creative visual effects and animation studio based in Reykjavik’s harbour district, fast becoming a creative hub for film, games and advertising production. It opened in 2008 and has since provided VFX for numerous projects including Australia,Sherlock Holmes, Contraband, The Deep, Boardwalk Empire, 2 Guns, Gravity and Everest. Cinema audiences’ increasingly demanding requirements for an immersive visual experience are driving an exponential rise in the computer-processing and data-storage capacity required to support the complex rendering techniques VFX firms specialise in. As a result, RVX found itself rapidly approaching the limits of its servers’ technical capacity – and it was running out of physical space to house them. Plus, the levels of energy consumption increased exponentially.